Insert coin for your next … car? Vending machines – the delightful (or evil, depending on your perspective), big box in your break room that, in exchange for some loose change, a dollar bill (or two) or a swipe of your card, will produce delicious, albeit not generally nutritious, snacks. In the last several years, other products have joined the ranks of candy bars and chips. From gadgets to umbrellas to cars, these days vending machines are taking over the retail world. 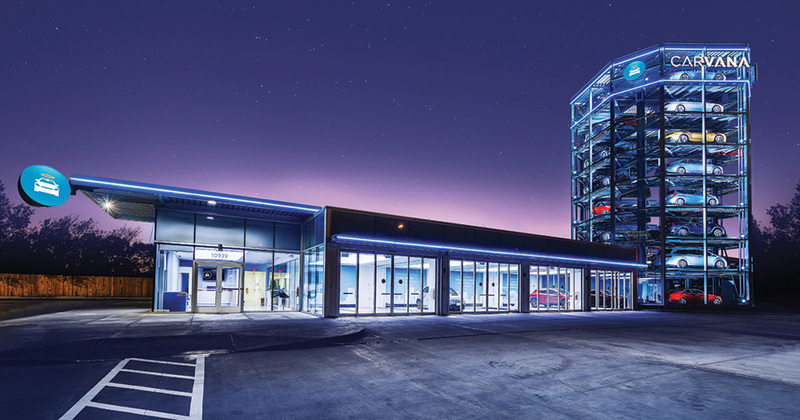 Thanks to a company called Carvana, the first coin-operated car vending machine made an appearance in Nashville, Tennessee, just over a year ago. A second, larger one is now open in Houston, Texas. Check out a video of a day in the life of the Nashville machine.